From conception to completion, Optimum Precision is your number one resource for custom-made polyurethane parts. We are revolutionizing the world of polyurethane manufacturing! 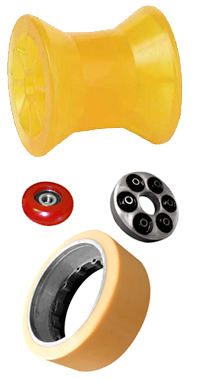 With over thirty years of experience, we have the in-house expert knowledge, skill, and equipment to create and tailor polyurethane parts for your specific applications. At Optimum Precision, we also customize our own urethane formulations using only the highest standards of quality control. No matter your industry, our highly experienced and specialized staff will work with you to fully understand your needs, and to manufacture your custom parts in the most time-efficient, cost-effective, and performance-driven manner possible; we deeply value all of our customers and their goals. come together under one roof!